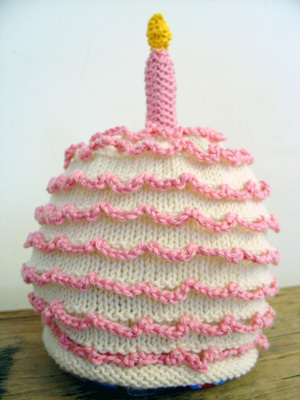 Lately, my brain seems to think of nothing but knitting! Everything I see, makes me thing either “can I knit that?” or “can I knit with it”. Everything from a sweater someone is wearing on the Tube to random objects like chess pieces, animals, kitchen utensils, etc. spark my imagination for design possibilities and every thing that even slightly resembles a fibre makes me start thinking about the logistics of knitting with it. Happily, I’m not the only one. 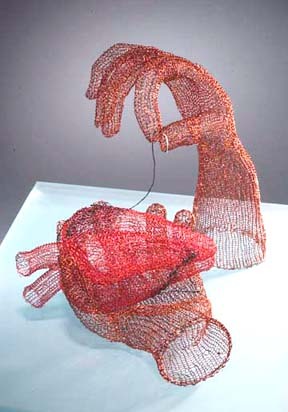 Joan Dulla makes beautiful sculptures out of knitted wire. Artwork by Joan Dulla. 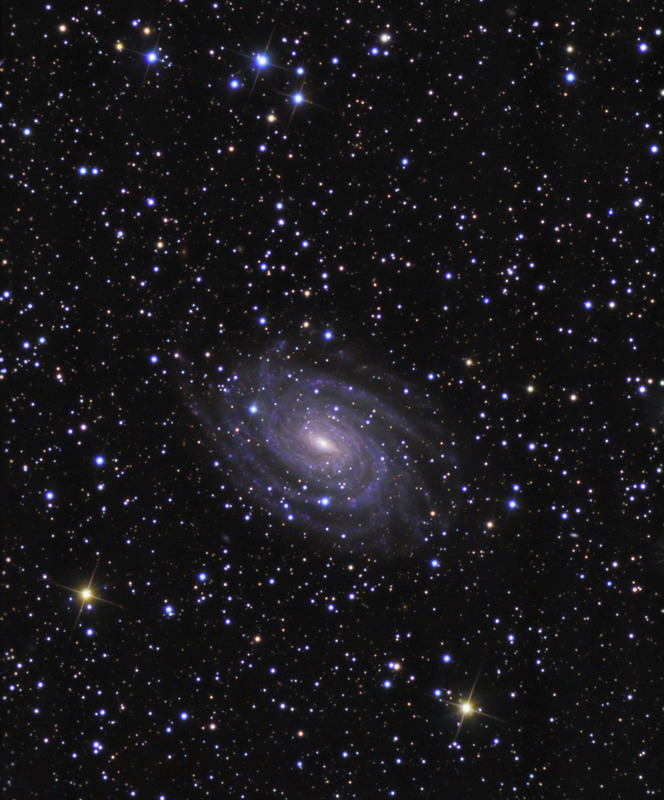 Image sourced from http://www.joandulla.com. 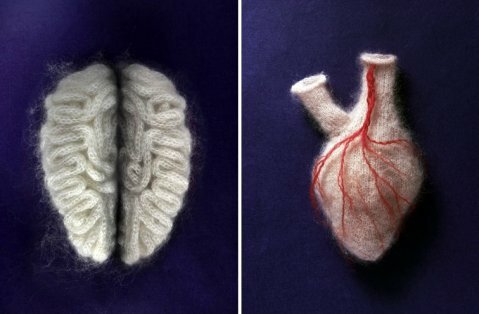 Sarah Illenberger knits body organs using mohair to create a lovely translucent objects communicative of the delicate nature of the organs themselves. Artwork by Sarah Illenberger. Image sourced from http://www.whokilledbambi.co.uk. I’ve been thinking with my art historian cap on and my brain in knit world. 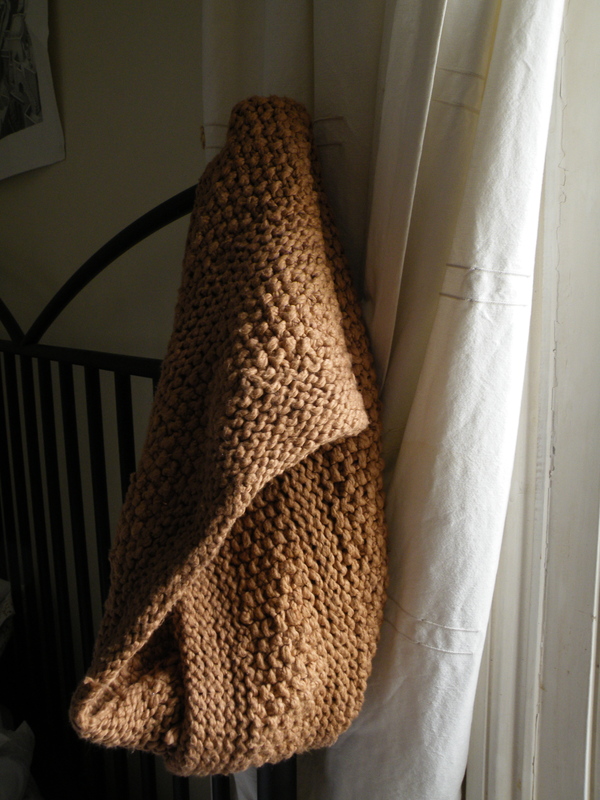 Can I knit art works? 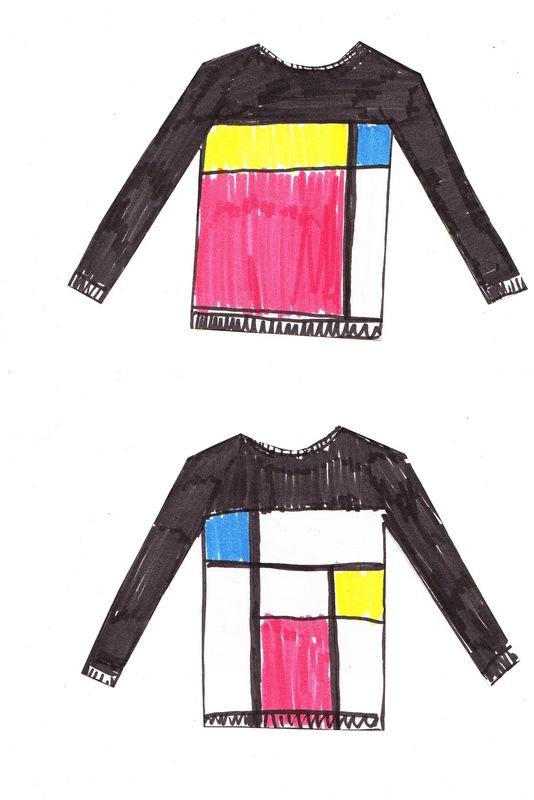 I immediately thought of Piet Mondrian and Yves Saint Laurent’s dress based on his paintings. Image sourced from the V&A website. 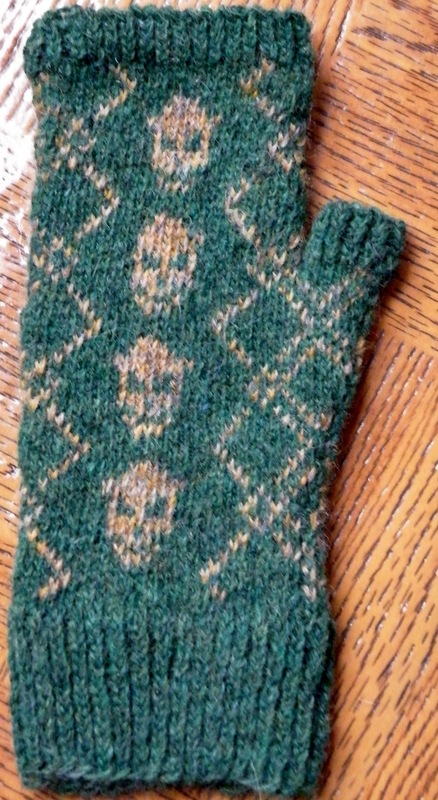 Can I knit a sweater based on it in an intarsia design? The possibilities are endless. Can I knit Jan van Eyck pieces? a Duchamp-ian toilet? a soup can?